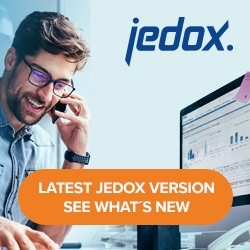 Jedox Performance Monitor can log and display information for several key performance measures, including system hardware resources, number of logged-in users, etc. Note: you need at least “R” rights for the object “ste_perf” to see the module “Performance” in the component Administration, and to select the time and the measures that should be displayed. Select the time frame for monitoring from the Date Time drop-down list. Then click the Series menu item to open the following dialog. Here you can select which measures you want to see. Click Apply. The selected measures are displayed in a timeline chart and in a table, as shown below. Note: If you select measures of both source types, then the table is not displayed. profile-log sink=syslog address=localhost:5556 facility=user verbose=info syslog://<address:port> sink= is mandatory. verbose= is optional, the default value is Log-Level. address= is optional, the default value is localhost:5556. facility= used by a process that sends data to the syslog to indicate to the syslog server what kind of process it is, with default value 1 (user) for OLAP syslog. For general information about syslog standards, check this article. Note: The syntax log syslog://<address:port> is obsolete and using it will generate a warning message informing you about this. Restart “JedoxSuiteMolapService” to apply changes in palo.ini. Restart “JedoxSuiteCoreService” to apply the changes in config.xml.